Can you spot an aircraft by its windows? From their shape, size or number, windows are the main factor in the aesthetic (and performance) of an aircraft. 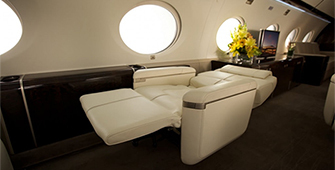 Take a window seat view of private jets now, and in the future. FAQs about exactly how to book an empty leg, the pros and cons, and what to look out for. Here’s a look back at just some of the numbers that made 2014 such an exciting year at PrivateFly. A Who's Who of the key aircraft manufacturers, which jets they produce and ones to watch.